I like the location which is very close to the high street and train station. 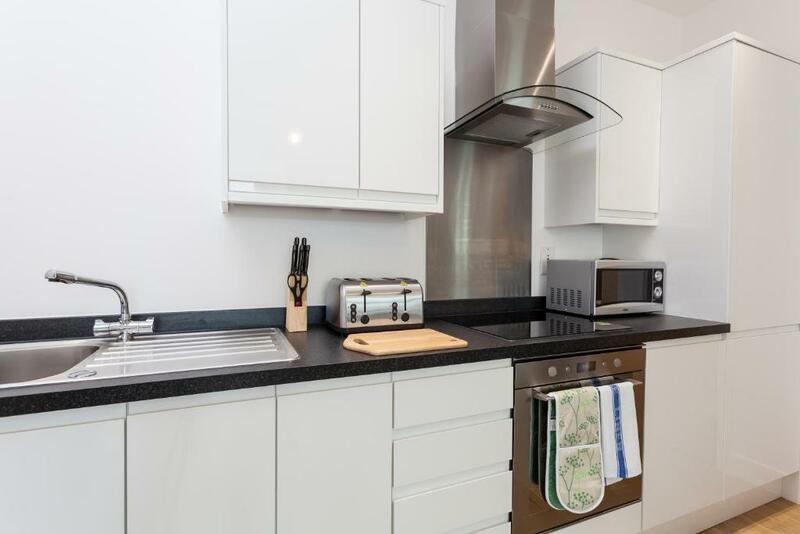 The location of the property is very close to high street and Redhill train station. Everything was excellent, the apartment was spotless and had everything you needed. Clean and very modern. Location is good and its very quiet in the surrounding area. Parking is a minor issue but can be solved with some flexibility and a bit of luck! The flat is ultra-modern and very comfortable and spacious. Well equipped with great internet. Great comms at all times from Sally who is really helpful and accommodating. Welcome packs of breakfast supplies and toiletries. Plenty of fluffy, white towels and a comfy bed. Exceptionally clean. The apartment itself was very clean and new and lovely. This is a new build quality apartment with all mod cons. It is particularly spacious for a property of this type. We stayed four nights and my wife was under the weather for a couple of days and we were so pleased we had the comfort of the apartment rather than being limited to a hotel room. There are enough decent places to eat for a short stay and a large Sainsbury's supermarket a couple of minutes walk away. Also what stands out is the quality of contact and information the owner provides prior to arrival including your own tailored welcome pack of goodies. There is a keysafe facility which we used as we were unsure of our arrival time. A special thank you to Sally who was very accommodating when we had to amend our leaving arrangements. We would definitely recommend. Great apartment, clean, comfortable and had everything you needed. Some nice touches such as bread, jam and cereal, fresh milk left for you for breakfast. Good value, very clean and excellent facilities. Welcome back was great and a nice touch. Choice of welcome pack on arrival ensures you have a stock of bread, milk, cereal and fruit to your liking. Very friendly host who meets you with key to provide instructions about heating etc. Apartment warm on arrival. Location very central Redhill, but apartment was quiet at night. 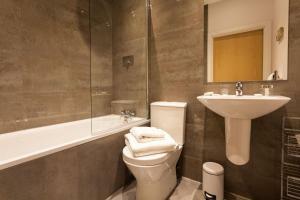 Spotlessly clean, Toiletries provided (minis), lovely towels and comfy bed. Nice touches like the throws in the sitting area. Wifi very good. Lock in a great price for Bishops Terrace Redhill - rated 9.4 by recent guests. One of our bestsellers in Redhill! 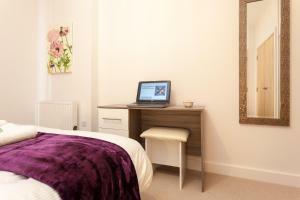 Set in Redhill, Bishops Terrace Redhill offers accommodation with free WiFi, a flat-screen TV and a kitchen. London is 21.1 miles from the apartment, while Croydon is 10.6 miles from the property. 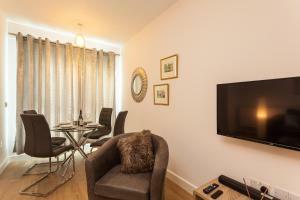 The nearest airport is Gatwick Airport, 8.1 miles from the property. Bishops Terrace Redhill has been welcoming Booking.com guests since 14 Aug 2017. 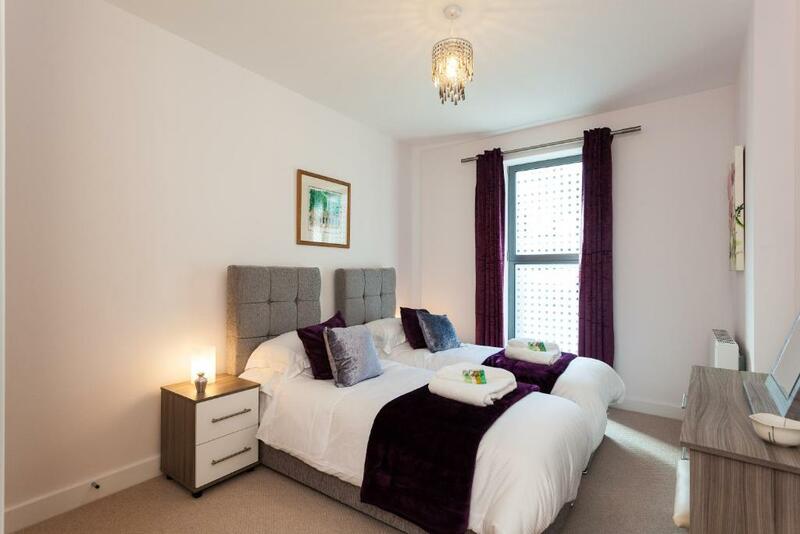 When would you like to stay at Bishops Terrace Redhill? 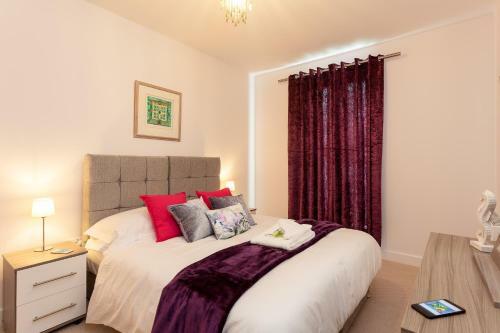 The apartment sleeps 4 - the bedrooms have very comfortable beds that can be a king size bed or two singles and we will set this up for you before you arrive the way it suits you best. There is a sturdy double sofa bed in the living room. Our apartments are new and beautifully furnished, aiming to provide a restful home from home. There is a dressing table/desk where you could work comfortably, using our complimentary superfast 200MB Virgin broadband. Or you can relax on the large chaise sofa, watch TV (70+ channels with TIVo box for recording and watching on-demand services or access your Netflix. Our apartments are is 6 minutes walk to Redhill Train Station, with its 24 hour parking. The apartments are part of the one year old, modern Queensgate apartment complex, and it a well lit, safe place to stay. We are happy to welcome our guests to Queensgate in person, meeting and greeting to show you the apartment if you'd like us to. 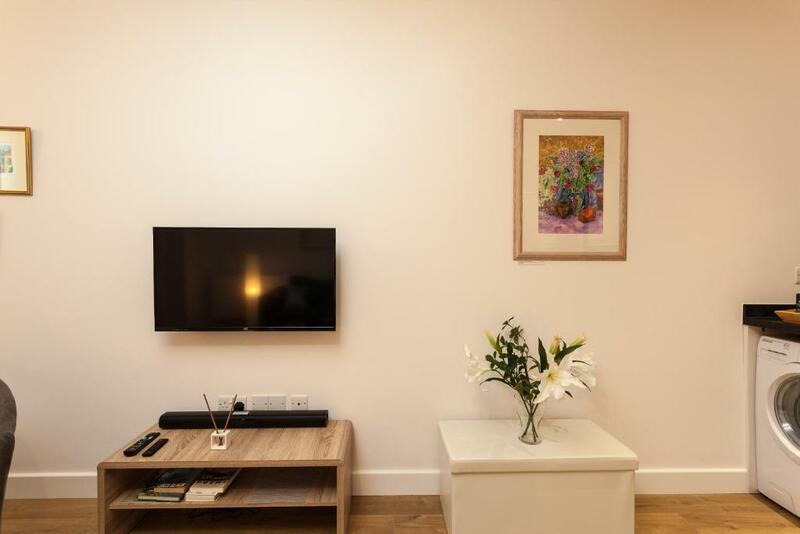 Alternatively, you are welcome to check-in yourself using our key safe and you'll be able to use our comprehensive property guides to the facilities in the apartment. We are a small family business, Helmswood Serviced Apartments. I am Sally, the main host and we always aim to give you the best service possible. We appreciate that you'd like your stay to be as easy, comfortable and relaxing as possible. If you ever need additional help or inspiration just let me know, your feedback is very welcome as I'm keen to constantly improve as a host. It's lovely when guests arrive and are really happy because the apartments live up to their expectations and have a wow factor!! :-) Art is my vocation in life and you'll find my screen prints and paintings on the walls. I love to inspire and help people, and enjoy the journey of self-development through courses training, mentoring and activities such as yoga. The world is our oyster, my life motto is to love, live and give. I look forward to welcoming you to the apartments. Bishops Terrace is right in the centre of Redhill, extremely convenient for shopping at the Belfry Shopping Centre with many high street favourites & cafes (2 minutes walk away). Please note - there is no allocated parking, the best place to park is Redhill Train Station where there are weekly and monthly rates too. In Redhill, Prezzo and The Home Cottage pub are great eateries, plus there are numerous takeaways. Reigate is 5mins drive away/taxi ride or train with wonderful restaurants & shopping too. The Harlequin Theatre is 5 minutes walking distance and is the town's main cinema, conference centre as well as hosting many shows, children's activities, concerts & ballet productions. There are beautiful walks in the Surrey Hills, Box Hill, Leith Hill too. House rules Bishops Terrace Redhill takes special requests - add in the next step! A damage deposit of GBP100 is required upon arrival. This deposit is fully refundable 7 days after check-out as long as there has been no damage to the property. Bishops Terrace Redhill accepts these cards and reserves the right to temporarily hold an amount prior to arrival. The property will contact guests with additional information related to their stay after booking confirmation has been received. Please note, paid parking facilities are available at Redhill rail station, a 6-minute walk from the property. Please inform Bishops Terrace Redhill in advance of your expected arrival time. You can use the Special Requests box when booking, or contact the property directly with the contact details provided in your confirmation. TV doesn't have wireless connection. This is REALLY picky, but hopefully valuable. Instructions for TV and satellite and the microwave would be useful, as would some comments on local places to eat, albeit I guess that's what TripAdvisor is for! Also, I stayed there during some really foul weather and when you come into the flat there is absolutely nowhere to hang wet coats aside from over the really nice dining furniture, in the wardrobe or over the back of a door. There is a entrance porch, so maybe some coat hooks in there would be useful? And finally, but again being very picky, perhaps some hooks on the back of bedroom and bathroom door to hang towels or dressing robes? But I stress, this is picky and the apt is great and Sally is brilliant. As I like to cook for myself, it could have done with a few more kitchen items. The trade off for being in the town centre and close to the railway station is that the property has no private parking. However it is possible to load/unload right outside the front door and the station car park is a short walk away. It's about £7 a day or £28 a week (It's easier to pay with the park indigo app on your phone) and I always found spaces available. Parking. The only place I found was the train station which is open air and about 5-10 mins walk away. This would put me off booking again or would have to go there by train. A little noisy outside on Friday night. Lots of takeaway delivery vehicles park right outside. Huge lorry parked right outside next morning. Road seems to be used for lots of deliveries. The flat's front door opens directly to very noisy street. There is an office of pica delivery till 03.00 p.m. There were a lot of cars and the drivers were playing very loud music in their cars till midnight. The welcome pack was a really nice touch - especially since you could select your preferences from the choices emailed to you. Also mini toiletries provided too. Towels thick and fluffy. Kitchen was well stocked with all you needed too. Heating was very controllable and kept it nice and warm even though freezing outside. Considering location, it was also remarkably quiet. Was met by host, with thorough yet practical valuable information. Hosts made sure I was comfortable and had everything I needed throughout the stay. Could not be more central, yet very quiet, which helps relaxing after a busy day at work. 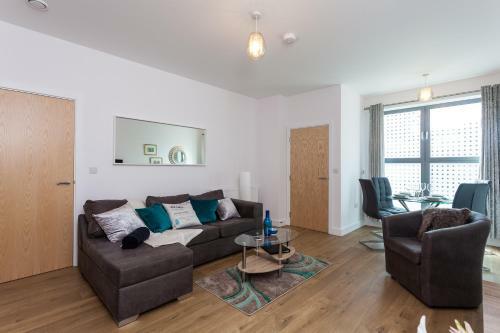 Walking distance to Redhill station- 2 minutes!